See more Ginette NY Necklaces. We check over 450 stores daily and we last saw this product for $1,239 at MONNIER Frères. Ginette NY transcribes your uniqueness through her jewelry, aspiring to reflect your personality. 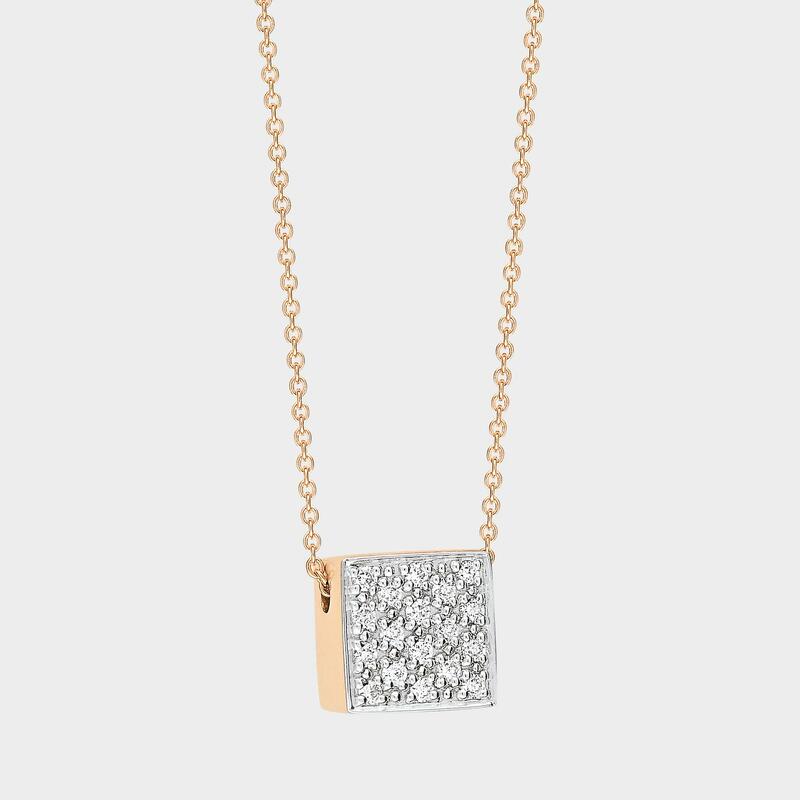 This necklace is made of a rose gold chain adorned with a diamond cube, which marries perfectly the shape of your neck.